Healy as a Fulham player (December 2007). The NIFL Premiership, known as the Danske Bank Premiership for sponsorship purposes, is a professional association football league which operates as the highest division of the Northern Ireland Football League – the national league in Northern Ireland. It was formerly called the IFA Premiership until 2013, and is the successor to previous competition formats called the Irish Premier League, Irish Football League Premier Division, and before that simply the Irish Football League. Still known in popular parlance simply as the Irish League, the Premiership was established in 2008 under the auspices of the Irish Football Association before the Northern Ireland Football League was created for the start of the 2013–14 season. At the end of the season, the champion club is presented with the Gibson Cup. A striker, he is the all-time leading scorer for Northern Ireland with 36 goals, and also shares the record for the highest scoring tally during a UEFA European Championship qualifying campaign of 13 goals, shared with Robert Lewandowski. He began his career as a youth player at Manchester United in 1995, turning professional in 1999, but signed for Preston North End two years later after a short loan spell. He spent three years with Preston, maintaining a healthy goals to games ratio, before transferring to Leeds United in 2004. After three years to Leeds he moved on to Fulham for a season, before settling at Sunderland in 2008. He moved north to Scotland to play for Rangers in January 2011. He helped the club to the SPL title in 2010–11 and also played in the 2011 League Cup final victory, before departing at the end of the 2011–12 season, when his contract expired. He joined Bury for a one-season spell in August 2012. In addition to these clubs he has also played for Port Vale, Norwich City, Ipswich Town, and Doncaster Rovers on loan. He was released by Bury in May 2013, and chose to retire in November 2013 after failing to find a club. Before representing his country at a senior level, he also played for both the under-21 team and the B team. He began his management career with Linfield in October 2015, and led the club to a NIFL Premiership, Irish Cup and County Antrim Shield treble in 2017. The Irish Football Association Challenge Cup is the primary football knock-out cup competition in Northern Ireland. Inaugurated in 1881, it is the fourth-oldest national cup competition in the world. Prior to the break-away from the Irish Football Association by clubs from what would become the Irish Free State in 1921, the Irish Cup was the national cup competition for the whole of Ireland. Coleraine are the current holders after beating Cliftonville 3–1 in the 2018 final. The County Antrim & District Football Association Senior Shield is a football competition in Northern Ireland. The competition is open to senior teams who are members of the North East Ulster Football Association, often plus intermediate teams who qualify via the Steel & Sons Cup, depending on the numbers required. Healy was born and raised in Killyleagh, Northern Ireland, and played for Crossgar, Lisburn Youth and Down Academy High School in Downpatrick. [ citation needed ] He signed for Manchester United in August 1999, just four days before his 20th birthday. He made his debut for United in a 3–0 defeat to Aston Villa in the League Cup at Villa Park on 13 October 1999. In February 2000 he was loaned to Port Vale, but could only manage three goals in sixteen games for Brian Horton's side who were relegated to Division Two. Downpatrick is a small-sized town about 33 km (21 mi) south of Belfast in County Down, Northern Ireland. It has been an important site since ancient times. Its cathedral is said to be the burial place of Saint Patrick. Today, it is the county town of Down and the joint headquarters of Newry, Mourne and Down District Council. Downpatrick area has currently shown to have a population of 10,874 according to the 2011 Census, although it is likely to have increased in recent years. In the following season he made a second appearance in the League Cup (as a 90th-minute substitute for Luke Chadwick in a game that went into extra time, United eventually losing to Sunderland). He made his Premier League debut on 28 November 2000 as a second-half substitute for Ryan Giggs in a 2–0 victory over Ipswich Town. This was to be his last appearance for United; he signed for Preston North End on loan on 29 December 2000, and the deal was made permanent five days later for a £1.5 million fee. 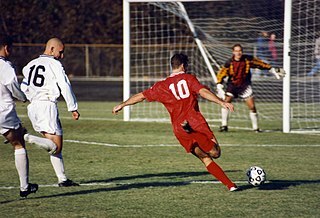 The 2000–01 season was the 121st season of competitive football in England. Luke Harry Chadwick is an English former professional footballer who last played for Soham Town Rangers as a midfielder. He now works as a coach in the Cambridge United academy, a position he took up in June 2016. Sunderland Association Football Club is an English professional football club based in the city of Sunderland, Tyne and Wear. Sunderland play in League One, the third tier of English football. 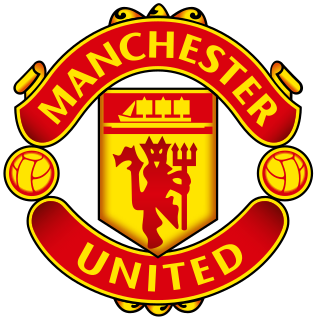 Since its formation in 1879, the club has won six top-flight titles, a total only bettered by five other clubs, and has finished runners-up five times. 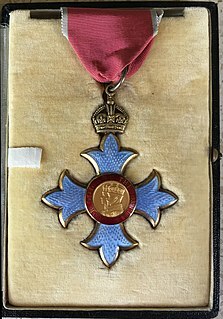 The club has also won the FA Cup twice and been runners-up twice, as well as winning the FA Community Shield in 1936 and being finalists the following year. Sunderland have also been Football League Cup finalists in 1985 and 2014. In the remainder of the 2000–01 season, Healy made 26 appearances for Preston and scored 10 goals. He was a virtual ever-present in the 2001–02 season, appearing in 44 league games and scoring 10 goals. During the 2000–01 English football season, Preston North End F.C. competed in the Football League First Division, the second tier of English football. The 2001–02 season saw Preston North End compete in the Football League First Division where they finished in 8th position with 72 points. He found his scoring form again in 2003–04, and netted 15 times in 42 matches for Preston. For this feat he was given the club's Player of the Year award. 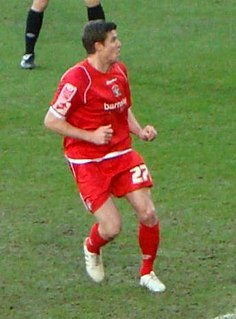 He again finished as joint top scorer in the 2005–06 season, both he and Rob Hulse on fourteen goals. Leeds reached the play-off finals this season but lost in the final 3–0 to Watford. During the management of Kevin Blackwell Healy found himself regularly being played out of position at Leeds, mainly as a right winger, with Leeds rotating Hulse, Cresswell and Blake up front. Healy then finished the following 2006–07 season as Leeds' top scorer with ten goals. With Leeds relegated into League One, he left the club at the end of the campaign. Healy reunited with former Northern Ireland boss Lawrie Sanchez at Fulham in July 2007 for a reported fee of around £1.5 million. He scored his first goal for Fulham in a pre-season friendly against South China in the Asia Trophy, with a low diving header. In August 2008, Healy joined Sunderland on a three-year contract for an undisclosed fee, believed to be worth £1.2 million. Despite this sum he would never start a league game for the "Black Cats". 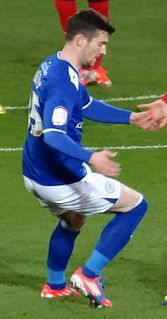 Healy made his debut for Sunderland four days later in the League Cup and marked by scoring the winning goal in extra time against Nottingham Forest. Healy also scored in the FA Cup against Blackburn Rovers. Healy scored his first Premier League goal for the club in a 2–0 home win against Stoke City on 7 February 2009. He managed to score in every competition that Sunderland were entered into in his first season with the club. In January 2011, Healy signed for Rangers on a six-month deal, with a view to signing a longer contract. Having scored in his Leeds, Fulham, Sunderland, Doncaster and Northern Ireland debuts, he also marked his first Rangers appearance with a goal, coming off the bench to add the final goal of a 6–0 win over Motherwell on 12 February. Upon the expiry of his contract he signed a new one-year deal with the club, tying him to the Ibrox club until the end of the 2011–12 season. On 2 January 2012, Healy scored his second goal for the club, again against Motherwell, with the opener of a 3–0 win. His third goal for the club came the following week, when he scored the first of a 4–0 victory over Arbroath in the Scottish Cup. He netted his third league goal of the season for the "Gers" in a 4–0 win over Hibernian on 28 January,  and got his fourth goal in a 4–1 victory over Dunfermline Athletic on 11 February. He left Ibrox at the end of the 2011–12 season following the expiration of his contract. He made his début for Northern Ireland on 23 February 2000, putting a brace past Luxembourg. He was still only 20 years old; having made his début for Manchester United the previous October, he had just joined Port Vale on loan. His competitive international début came in September 2000, in a World Cup qualifying game against Malta, and he scored his first competitive goal for his country a month later against Denmark. On 6 June 2004, in a friendly game away to Trinidad and Tobago (his 35th international), he scored his 13th and 14th goals for Northern Ireland, thus equalling and overtaking Colin Clarke's record for the country. In September that year, Healy was controversially sent off in Northern Ireland's 2–2 draw with Wales. After celebrating the goal he scored to put Northern Ireland 2–0 up, he made a hand gesture towards the fans. The referee sent him off but Healy later explained that he was celebrating towards his family and that was how he always celebrated when scoring for his then-club, Preston North End. He won a total of 95 senior caps, making him Northern Ireland's third most capped outfield player  and fourth overall in the nation's all-time appearances chart behind goalkeeper Pat Jennings (119), Aaron Hughes (112) and Steve Davis (108). His 36 international goals make him the nation's all-time leading goalscorer by a considerable distance. ( * ) include 3 play-off appearances. ( ** ) includes 1 play-off goal. ( *** ) includes 2 play-off appearances. ( **** ) includes 2 League Trophy appearances. Stephen William Elliott is an Irish professional footballer, who currently plays for Morpeth Town in the Northern Football League. Elliott plays as a striker. He has previously played for Manchester City, Sunderland, Wolves, Preston North End, Heart of Midlothian, Coventry City Carlisle United, Shelbourne, Drogheda United and had a loan spell at Norwich City. Steven Caldwell is a retired Scottish footballer who played as a defender, predominantly as a centre back. Caldwell won 12 caps for the Scotland national team and has played over 300 league matches in his career, primarily in the top three tiers of English football. Since retiring from playing, he has been working as a Premier League and Major League Soccer television analyst for TSN in Canada. Steven Davis is a Northern Irish professional footballer who plays as a midfielder for Scottish Premiership club Rangers on loan from Premier League club Southampton and the captain of the Northern Ireland national team. Davis made his full international debut in 2005 and has since been capped 108 times at senior level, scoring twelve goals. He captained his nation at UEFA Euro 2016. Aiden John McGeady is a professional footballer who plays as a winger for EFL League One club Sunderland and the Republic of Ireland national team. Daryl Michael Murphy is an Irish professional footballer who plays as a striker for Championship club Nottingham Forest. Andrew David Gray is a former footballer who last managed Leeds United's under-18 team. Alex Stephen Bruce is a professional footballer who plays as a defender for Kilmarnock. He has also played as a defensive midfielder on occasion. The son of the former Manchester United defender Steve Bruce, he has played for Oldham Athletic, Sheffield Wednesday, Tranmere Rovers, Ipswich Town, Leicester City, Leeds United, Huddersfield Town, Hull City, Wigan Athletic and Bury. Dean Andrew Shiels is a professional footballer, who plays as an attacking midfielder for Coleraine. Shiels has previously played for Hibernian, Doncaster Rovers, Kilmarnock, Rangers, Dundalk, FC Edmonton and Dunfermline Athletic. He has also played in 14 full international matches for Northern Ireland. His father is Kenny Shiels, who was his manager at Kilmarnock. David James Nugent is an English professional footballer who plays as a striker for Championship club Derby County. Richard Paul Wesley Cresswell is an English former professional footballer. He primarily played as a striker but could also play as a winger. He is the Head Of Academy Coaching at Leeds United. David Thomas Clarkson is a Scottish football player and coach, who is currently the head of intermediate at the Motherwell academy and is also their elite academy coach. During his playing career, Clarkson played for Motherwell, Bristol City, Brentford, Bristol Rovers, Dundee and St Mirren. He appeared in two full internationals for Scotland, both in 2008. Jermaine Paul Alexander Beckford is a professional footballer who plays for League Two club Bury as a striker. He began his career as a trainee at Chelsea, and has since played for Wealdstone, Uxbridge, Leeds United, Carlisle United, Scunthorpe United, Everton, Leicester City, Huddersfield Town, Bolton Wanderers and Preston North End. Noel Hunt is an Irish footballer, who is currently player/assistant manager for Swindon Town. He began his career in Ireland with Shamrock Rovers, also playing for Waterford United on loan. He moved to Scotland in 2003, where he played for Dunfermline Athletic and Dundee United. He has played in England since 2008, with spells at Reading, Leeds United, Ipswich Town and Southend United prior to joining Portsmouth in 2016. Andrew Michael Lonergan is an English professional footballer who plays as a goalkeeper for Middlesbrough. Kyle Joseph George Lafferty is a Northern Irish professional footballer who plays as a forward for Scottish Premiership club Rangers and the Northern Ireland national team. Paul Huntington is an English professional footballer who is a centre back for Preston North End and has made more than 420 career appearances. Since joining Preston in 2012 and winning a promotion in 2015, he was given the nickname and song ‘The Cumbrian Cannavaro', named after World Cup winning defender Fabio Cannavaro. Marc David Wilson is an Irish professional footballer who plays as a defender or midfielder for Bolton Wanderers in the EFL Championship. Kazenga LuaLua is an English–Congolese professional footballer who plays as a winger for Luton Town. He previously played for Brighton & Hove Albion, Newcastle United, Doncaster Rovers, Queens Park Rangers and Sunderland. Ryan McGivern is a Northern Irish footballer who plays for NIFL Premiership club Linfield. He can play as a left-back or a central defender, and has represented Northern Ireland in international football. Andrew Little is a Northern Irish retired footballer who played mainly as a forward. ↑ "David Healy". Barry Hugman's Footballers. Retrieved 9 March 2017. 1 2 3 4 5 6 7 8 "Flown from the Nest". ex-canaries.co.uk. Retrieved 12 February 2011. ↑ "Sheff Weds 2–2 Norwich". BBC Sport. 13 February 2003. Retrieved 3 November 2009. ↑ "Norwich 1–0 Wimbledon". BBC Sport. 25 March 2003. Retrieved 3 November 2009. ↑ "Healy completes transfer to Leeds". BBC Sport. 29 October 2004. ↑ "Striker Healy agrees Fulham move". BBC Sport. 13 July 2007. ↑ "Healy seals Sunderland transfer". BBC Sport. 21 August 2008. ↑ McKenzie, Andrew (28 August 2008). "Nottm Forest 1–2 Sunderland (aet)". BBC Sport. Retrieved 3 November 2009. ↑ "Blackburn 2–1 Sunderland (aet)". BBC Sport. 4 February 2009. Retrieved 3 November 2009. ↑ Dawkes, Phil (7 February 2009). "Sunderland 2–0 Stoke". BBC Sport. ↑ "Sunderland's David Healy and Daryl Murphy join Ipswich". BBC Sport. 1 February 2010. ↑ "Ipswich 1–1 Middlesbrough". BBC Sport. 6 February 2010. Retrieved 15 July 2010. ↑ Gibson, Richard (24 February 2010). "Scunthorpe United 1–1 Ipswich". London: The Mail Online. Retrieved 15 July 2010. ↑ "David Healy to join Doncaster on loan from Sunderland". BBC Sport. 4 November 2010. ↑ "Doncaster 2–1 Millwall". BBC Sport. 6 November 2010. ↑ "David Healy extends Doncaster Rovers loan deal". BBC Sport. 7 December 2010. ↑ "Striker David Healy joins Rangers from Sunderland". BBC Sport. 30 January 2011. ↑ "Rangers manager Walter Smith boosted by new players". BBC Sport. 12 February 2011. Retrieved 12 February 2011. ↑ Smith, Neil (2 January 2012). "RANGERS started 2012 in the perfect way with a comprehensive 3–0 victory over third placed Motherwell at Ibrox". rangers.co.uk. Archived from the original on 27 December 2011. Retrieved 3 January 2012. ↑ Lindsay, Clive (10 January 2012). "Arbroath 0 – 4 Rangers". BBC Sport . Retrieved 10 January 2012. ↑ "Rangers 4 – 0 Hibernian". BBC Sport . 28 January 2012. Retrieved 28 January 2012. ↑ Lindsay, Clive (11 February 2012). "Reborn striker Lee McCulloch inspired Rangers as they came from behind to ease aside basement side Dunfermline". BBC Sport . Retrieved 11 February 2012. ↑ "Bury sign Northern Ireland striker David Healy on one-year deal". BBC Sport . 23 August 2012. Retrieved 23 August 2012. ↑ "Preston North End may offer David Healy a return to Deepdale". BBC Sport . 16 August 2012. Retrieved 23 August 2012. ↑ "Preston North End decide against David Healy return". BBC Sport . 20 August 2012. Retrieved 23 August 2012. ↑ Nelson, Craig (25 August 2012). "Coventry 2 Bury 2". Bury Times. Retrieved 25 August 2012. ↑ "Shakers retain eight players; all remaining players are released and are free to sign for other clubs". buryfc.co.uk. Retrieved 22 May 2013. ↑ Edwards, John (3 December 2013). "Northern Ireland record-breaker Healy retires at 34 after troublesome ankle injury". Mail Online. Associated Newspapers. Retrieved 3 December 2013. ↑ "Northern Ireland striker David Healy announces retirement". BBC Sport. 3 December 2013. Retrieved 4 December 2013. ↑ "Ruthless Leeds put Glenavon festivities in the shade". Belfast Telegraph. 31 July 2014. Retrieved 31 July 2014. ↑ McKinley, Stuart (23 July 2014). "Healy joins Lurgan Blues for one-off against Leeds". Belfast Telegraph. Retrieved 4 August 2014. ↑ "NI team spirit is key, says Healy". BBC Sport. 13 October 2006. ↑ "Liechtenstein 1–4 N Ireland". BBC Sport. 24 March 2007. ↑ "N Ireland 2–1 Sweden". BBC Sport. 28 March 2007. ↑ "Healy wins award". Fulham Official Website. 27 March 2008. Retrieved 16 April 2014. ↑ "David Healy furious at death threats". Belfast Telegraph. 23 October 2008. Retrieved 8 May 2009. ↑ "David Healy left out of Northern Ireland squad for qualifiers". BBC Sport . 28 August 2012. Retrieved 28 August 2012. ↑ McCaig, Alvin (14 November 2012). "Northern Ireland 1 – 1 Azerbaijan". BBC Sport . Retrieved 15 November 2012. ↑ "Most Capped Players". Archived 14 March 2016 at the Wayback Machine Irishfa.com. Retrieved 2012-07-30. ↑ "Irish Premiership: Blues boss Healy starts against Town". BBC Sport . 16 October 2015. Retrieved 18 October 2015. ↑ "David Healy: My Linfield team is going to reflect my personality". Belfast Telegraph. 16 October 2015. Retrieved 18 October 2015. 1 2 "County Antrim Shield final: Crusaders 1-3 Linfield". BBC Sport. 7 February 2017. Retrieved 11 February 2017. ↑ "David Healy: Linfield boss handed six-match general ban for third dismissal". BBC Sport. 25 February 2017. Retrieved 12 May 2017. 1 2 3 Mills, Alex (6 May 2017). "Irish Cup Final: Linfield 3 Coleraine 0 - Rampant Andy Waterworth seals win with hat-trick - BelfastTelegraph.co.uk". Belfast Telegraph. Retrieved 12 May 2017. ↑ "UEFA Champions League - Celtic-Linfield". UEFA.com. Retrieved 3 May 2018. ↑ Healy, David (27 March 2009). "David Healy: It's Windsor, of course we can do it". belfasttelegraph.co.uk. Independent News and Media. Retrieved 14 July 2009. ↑ "No. 58729". The London Gazette (Supplement). 14 June 2008. p. 18. ↑ "David Healy Career Stats". Soccerbase. Archived from the original on 21 November 2007. Retrieved 27 November 2007. 1 2 "Games played by David Healy in 1999/2000". Soccerbase. Centurycomm. Retrieved 1 January 2017. 1 2 3 "Games played by David Healy in 2000/2001". Soccerbase. Centurycomm. Retrieved 1 January 2017. ↑ "Games played by David Healy in 2001/2002". Soccerbase. Centurycomm. Retrieved 1 January 2017. 1 2 "Games played by David Healy in 2002/2003". Soccerbase. Centurycomm. Retrieved 1 January 2017. ↑ "Games played by David Healy in 2003/2004". Soccerbase. Centurycomm. Retrieved 1 January 2017. 1 2 "Games played by David Healy in 2004/2005". Soccerbase. Centurycomm. Retrieved 1 January 2017. ↑ "Games played by David Healy in 2005/2006". Soccerbase. Centurycomm. Retrieved 1 January 2017. ↑ "Games played by David Healy in 2006/2007". Soccerbase. Centurycomm. Retrieved 1 January 2017. ↑ "Games played by David Healy in 2007/2008". Soccerbase. Centurycomm. Retrieved 1 January 2017. ↑ "Games played by David Healy in 2008/2009". Soccerbase. Centurycomm. Retrieved 1 January 2017. 1 2 "Games played by David Healy in 2009/2010". Soccerbase. Centurycomm. Retrieved 1 January 2017. 1 2 "Games played by David Healy in 2010/2011". Soccerbase. Centurycomm. Retrieved 1 January 2017. ↑ "Games played by David Healy in 2011/2012". Soccerbase. Centurycomm. Retrieved 1 January 2017. ↑ "Games played by David Healy in 2012/2013". Soccerbase. Centurycomm. Retrieved 1 January 2017. ↑ "David Healy". National Football Teams. Benjamin Strack-Zimmerman. Retrieved 10 July 2016. Wikimedia Commons has media related to David Healy .